Dal Forno Romano - "A masterpiece that is impossible to repeat." Dal Forno wines are a gem of its own. A real deal and an excellent end product of an intensive and meticulously winemaking process. Both the Valpolicella and Amarone takes more than three years to complete before it's being released from Dal Forno cellar. After the grapes are picked from Mid-September to late October, the grapes are being laid down in a specific room to let it dry for 1-2months before crushing and blending. The wine is fermented in steel vats and matures in brand new barriques. It then ages for a further thirty-six months before it'll be ready for release. 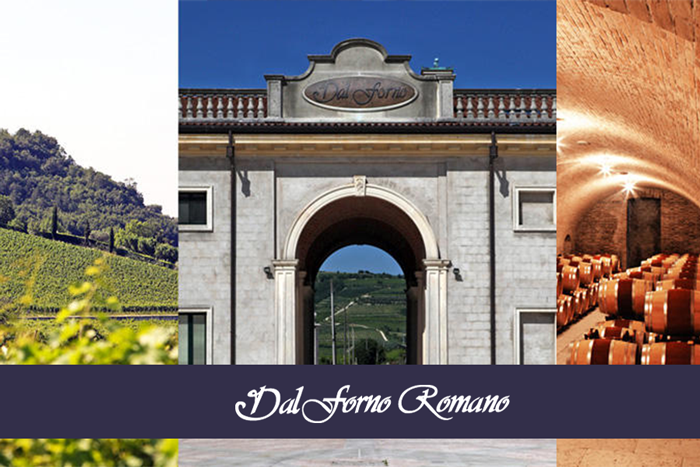 With a vineyard of 65acres, Dal Forno Romano only produces 40,000 bottles of Valpolicella each year, while the Amarone has only 20,000 bottles each vintage. Dal Forno Romano also produces a sweet red wine called Passito Rosso Vigna Sere. This wine is not produced every year but only when optimal climatic conditions ensure for a genuinely exceptional yield. In its 2004 vintage, Monical Larner of The Wine Advocate called it "a masterpiece that is impossible to repeat." She also recalled it as "It has never been anything less than spellbinding. It is one of the most magical sweet dessert wines I have ever tasted."